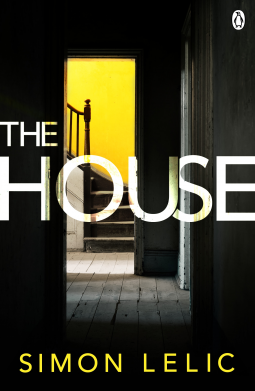 Given the title, The House, I anticipated that the main focus would be a house. And it was, at the beginning, which really raised my expectations that this was going to be a suspense-filled creepy book with hints even of the supernatural. Syd found the house advertised on the internet; the owner had suddenly moved to Australia, leaving the house fully furnished and she was immediately smitten by it. Jack wasn’t so sure – he thought it was creepy, full of junk, with an overgrown garden. But they put in a bid and were amazed when they got it a bargain price. Jack and Syd share the narrative, explaining how they came to buy the house and their feelings as they move in and experience strange, disgusting smells and scary noises in the night. Then Jack found something nasty in the attic, which I thought must be something so evil, because he didn’t want to tell Syd what it was. He began to worry why the owner had wanted him and Syd to have the house. It’s a nightmare scenario. But then the focus changed and the mystery of the house was absorbed into a very complex story that is difficult to write about without giving away the plot. As I read on and found out more about Jack and Syd it became clear that this book is not really about the house – it’s about their past lives and in particular about Syd’s. I think that if I had known more about that before, I wouldn’t have chosen to read the book. It’s a story about despair, domestic violence, dark secrets and the effects of the past on the present. Even thought the main issues are not topics that I want to read about, I did find the book compelling and it drew me along. The characters are believable, so much so that I didn’t like some of them; they are not people I’d want to meet. It was not what I expected from the title or synopsis – and there is nothing supernatural about it. Having said that it is well-written in a conversational style that makes each character easily distinguishable, with a well constructed plot. I’m glad you found a lot to like about this one, Margaret. I’ve been hearing good things about it, and it’s nice to know you found it compelling.